The “Commissioners’ Exhibition,” studying the architect-commissioner relationship through a number of buildings in Turkey, is currently being analyzed at SALT Galata. Ankara, Çanakkale, Denizli, İzmir, and Istanbul from the 1930s to 2010s. The selection focuses on commissioners’ influence over works of architecture with narrations featuring original archival documents and interviews. Their instrumental potential to initiate novelties, a much more important trait than the ability to provide resources, is argued through the personal archive of Özer Türk, a bureaucrat who vitalized early stages of tourism during his administrative posts across the Aegean between 1963 and 1975. 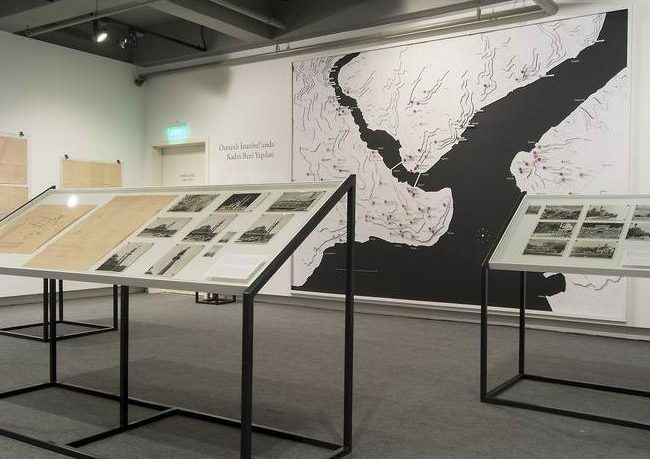 The exhibition delves into examples in Istanbul with documents from the renovation process of SALT Galata, and a constellation of structures commissioned by women patrons during the Ottoman Empire. This selection, ranging in scale from a fountain to expansive building complexes, is mapped across the city and some are detailed with drawings, photographs, and written documents from the SALT Research Ali Saim Ülgen Archive. Installed as a new city map, this study enables an examination of the role women patrons played in Istanbul’s urbanization from the 15th to 20th centuries. During the past 40 years, globalization in architecture has manifested itself in the profile of the wandering “starchitect,” while the commissioner has represented a pragmatic type embedded in corporate investment and development schemes. In the face of the world’s urgencies, architects are challenged to question the ways they have been practicing the profession. “Commissioners’ Exhibition” reminds that architects, while unearthing their potential to channel their skill, expertise and efforts from creating a masterpiece to enabling an environment of shared production, should also reconsider their perception of the commissioner.